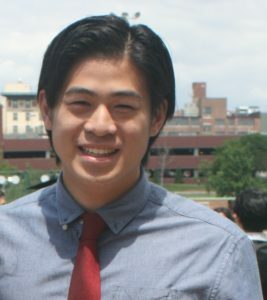 The Midwest Transportation Center (MTC) at Iowa State University’s Institute for Transportation is pleased to announce that Ken Bao has been named the MTC’s 2016 Outstanding Student of the Year. Ken attended the University of Missouri – St. Louis (UMSL) as an undergraduate finance major and, after graduation, decided to stay at UMSL and pursue a master’s degree in economics. Primarily interested in air and ground transportation, Ken’s main undergraduate research project explored the cost comparison of restructuring the Essential Air Services (EAS) program, which was recently presented at the Transportation Research Board (TRB) annual meeting in January 2017 in Washington, DC. He has also completed many other research projects. Project topics primarily revolved around the areas of cost analysis, value of time estimation, and subsidy effects on firm behavior. For example, one project investigated the viability of an intermodal hub in St. Louis, Missouri, and another involved researching the effects of capital and operating subsidies on the productivity of mass transit agencies. Ken eventually plans to take his transportation engineering interests to the Ph.D. level, after completing his M.S. at UMSL, that is.